One of the Crimean Tatars detained on March 27 told how prisoners were transported from Simferopol to Rostov-on-Don. Crimean Tatars, detained during mass searches on March 27, 2019, were transported from the Simferopol detention center to Rostov-on-Don in Russia by an airplane with curtained portholes. One of the prisoners Ruslan Suleymanov told lawyer Lilya Gemedzhi , who was able to meet with the detained Crimean in the remand centre No. 4 in Rostov, about the transportation. Suleymanov was among the Crimean Tatars who were arrested after mass searches on March 27. According to Suleymanov, everyone was taken out of the plane wearing a hat, with eyes closed as if they were particularly dangerous criminals. He said that until recently he did not understand where he was, and he found it out only on March 31, when some papers were brought to him. The imprisoned Crimeans asked to inform their relatives about their location and notify the Consul of Ukraine Taras Malyshevsky about this, but in reply they heard: “It is not allowed”. Nevertheless, Suleymanov noted that he felt the support of the people. Although you do not see people on the street, but you understand that they came to support you and it is very charging, – the Crimean involved in the new “Hizb ut-Tahrir case” told the lawyer. He said that the Russian security forces fear the unity of the people, and called on the Crimean Tatars to go on rallies, keep in solidarity with each other and continue their peaceful, non-violent struggle. Suleymanov is placed in a cell of 6 by 1.5 meters, under constant video surveillance. The cell is designed for two people, but at the moment he is kept there alone. On March 27 and 28, searches and detentions of Crimean Tatars were carried out in Simferopol and its environs, the Bilohirsk and Krasnohvardiisky districts, as well as in Rostov-on-Don. The detained Crimean Tatars are suspected of belonging to the Hizb ut-Tahrir party banned in Russia (but not in Ukraine). 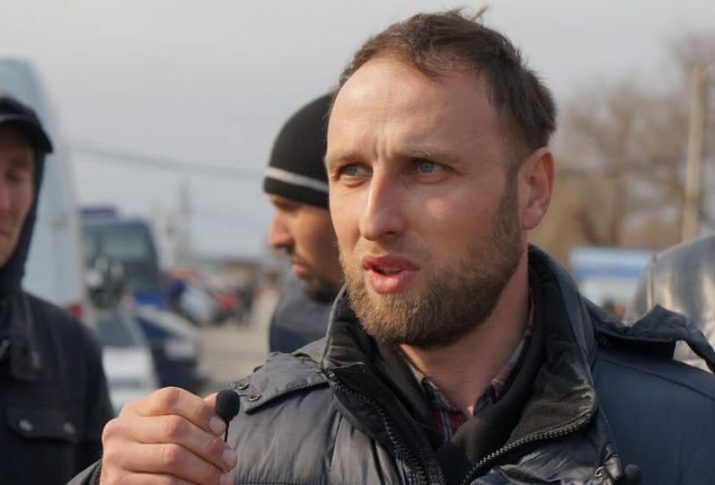 On March 28, the Kiev District Court of Simferopol arrested all the detained activists until May 15, 2019. On March 29, lawyers failed to find their clients in the Simferopol detention center. In a commentary to QHA media, lawyer Edem Semedlyaev suggested that all the Crimean Tatars who were detained during mass searches were taken to the Russian city of Rostov-on-Don. Soon, this assumption was confirmed by the “Ombudsperson” of Crimea Lyudmila Lubina.